One of the many great things about writing for Escentual is that I get to try fragrances that I wouldn’t normally come across in the wild. Without sounding as if I’m plugging a little bit too much, they do have a great selection of brands ranging from the staples such as Guerlain and DIOR to the more subversive houses of Amouage, Etat Libre d’Orange and CB I Hate Perfume. 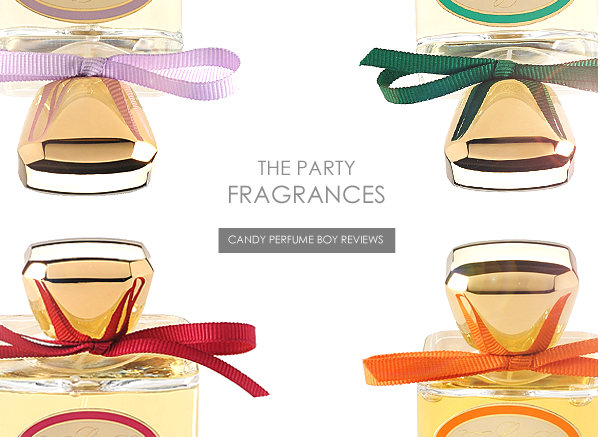 One particular brand that Escentual have introduced me to is The Party Fragrances. Currently there are six fragrances in the line, with each taking a classic accord and switching them up with something contemporary. Their debut fragrance, ‘The Party in Manhattan’ is especially noteworthy, mixing together the fruity chypre accord of Mitsouko with the intense floral tones of Patou’s Joy to make for a raucous and glamorous fragrance in the grand old style. For my Escentual column this week I have taken a good sniff of all of The Party’s Fragrances and have reviewed them for your pleasure. So, if you’re feeling as if you’re in a mischievous mood or you fancy exploring this hidden gem of a fragrance house please click here to take a quick gander over to Escentual.com to read my review. Don’t forget to let me know what you think of the fragrances too, if you’ve tried them! Image via Escentual. I write for Escentual as their Fragrance Expert. I am affiliated however, my views are my own. Posted in Escentual, Perfume Reviews, The Party Fragrance and tagged Escentual, Perfume Review, The Garden Party, The Party Fragrance, The Party in Manhattan, The Ten Party. Bookmark the permalink. Portia would really suit The Party in Manhattan. It’s possibly the only perfume as mischievous as she! I would love to sample these, they all sound great. They were a very pleasant surprise for me, I must admit. The Party in Manhattan is easily my favourite of the bunch. They all sounds nice and I’d love to have a sniff, especially The Party in Manhattan. But their prices are so out of my reach at this moment! They are definitely on the pricey side, I agree!